Dr. Donald G. Zauderer is Professor Emeritus of Public Administration at American University. While at American, Dr. Zauderer directed the Key Executive Program for emerging leaders in the public service. As an educational entrepreneur, he also developed graduate programs in Organization Development, Management Consulting, Human Resource Management, Public Financial Management, and the Management of Technology for the Mitre Corporation. Upon retiring from American, Dr. Zauderer served as Senior Advisor at The Brookings Institution, where he directed a program entitled Mastering the Art of Public Leadership. This innovative and value based program focused on developing the next generation of public service leaders. Dr. Zauderer is currently Principal of Zauderer & Associates, LLC, where he provides educational and consulting services to public, private, and not-for-profit organizations. His clients have included the Marriott Corporation, Omni Construction Company, National Geospatial Intelligence Agency, HHS University, the Treasury Department-FedSource, the U.S. Food and Drug Administration, American University, Centers for Disease Control and Prevention, the National Cancer Institute, the National Gallery of Art, and the U.S. Census Bureau, among others. Dr. Zauderer serves as a feature editor for the Public Manager and is a former member of the DC Bar Ethics Committee and the Montgomery County Schools Ethics Panel. 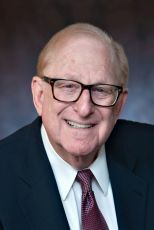 His most recent publications include Graduate School Education: "Learning in a World of Relatedness", "Leading With Character", "Leadership Lessons from World-Class Coaches", "The Benefit of Dialogue," "Winning with Integrity", "Organization Incivility and the Management of Human Capital," and "Mastering the Art of Public Leadership." Dr. Zauderer received his Ph.D. from Indiana University, with concentrations in Public Management, Public Policy Analysis, Organization Behavior, Political Science, and Economics.